For Huawei Y3 (2017). If you want premium protection for the delicate screen on your Phone, look no further than this tempered glass screen protector from us. The end result is a crystal clear view of your screen without the hassle of bubbles or dust getting in the way. 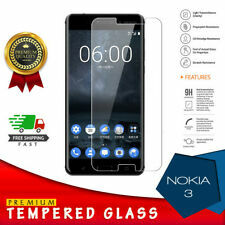 For Y3 Y360 - Anti Scratch Transparent Tempered Glass Screen Protector. 100% Real tempered glass only 0.3mm thin. Finger Print Resistant. Smudge free with superior Oleophobic coating. HD crystal clear transparency. 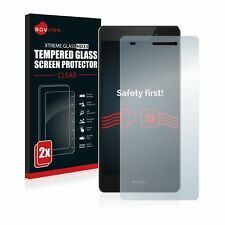 TechGuard Screen Protector for. Made for the Huawei Y3. Self healing Let Tech Guard protect your device with this Self-Healing Screen Protector. Easy to Apply and with Quad layer technology to keep your smartphone safe and sound. 100% Genuine Tempered Glass. PremiumTempered Glass Screen Protector. screen protector is adhered to phones with a silicon adhesive to keep it in place. PROMOTION : BUY 1 GET 1 FREE. 100% Genuine Tempered Glass. 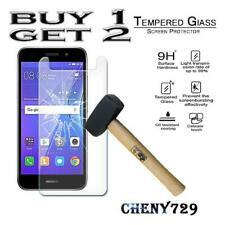 2 X TEMPERED GLASS SCREEN PROTECTOR. screen protector is adhered to phones with a silicon adhesive to keep it in place. make Supersized seem small. Remove out all the dust using the sticky tape. Fits Compatible for Huawei Y3 Y360. Precision cut to perfectly fit the Huawei Y3 Y360. 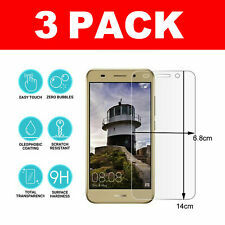 1 x Tempered glass screen protector for Huawei Y3 Y360. Tempered Glass Screen protector with built in multi-layer technology. For Huawei Y3 2018 CAG-L02. Made with chemically treated-100% crystal clear, transparent tempered glass with silicon adhesive to keep it in place. 100% Genuine 0.33MM ultra thin Tempered Glass. And kindly wait for a reply before opening any case in resolution centre. This is perfect fit for the flat area of screen. Designed specifically for the Huawei Y3. Hardness of 9H. 2.5D Tempered Glass Protection. 1 Tempered Glass Screen Protector. Oleophobic coating. HD display, h igh screen sensitivity, comfortable touch feeling. For Huawei Y3. If you want premium protection for the delicate screen on your Phone, look no further than this tempered glass screen protector from us. The end result is a crystal clear view of your screen without the hassle of bubbles or dust getting in the way. TEMPERED Glass Screen Protector Protection Guard for Huawei Y3. 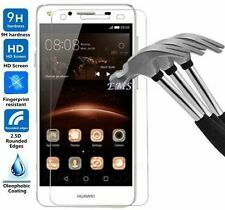 Premium quality tempered glass screen protector for Huawei Y3 2015. Detailed instructions how to apply the protector can be found on the second picture. 100% GENUINE TEMPERED GLASS SCREEN PROTECTOR PROTECTION. Genuine Tempered Glass. 1x Tempered glass screen protector. Quick dispatch. Bubble free. Huawei Y3 (2018). The entire surface of the glass is transparent and the back side is covered with a strong silicon adhesive for easy installation. Easy to install, Super scratch resistant, wear, explosion-proof, water-proof, anti oil, bubble prevention, anti bacteria, anti glare anti radiation. Incredibly Strong Tempered Glass in 9H Hardness provides amazing clarity and makes sure your Phone won’t ever scratch. Even sharp objects such as knives and keys will not scratch the protector. If you frequently break phones you need this screen protector. For Huawei Y3 2018. 100% GENUINE TEMPERED GLASS SCREEN PROTECTOR PROTECTION. Genuine Tempered Glass. 1 x Tempered glass screen protector. Bubble free. (Step 4 Removing the upper protective film. Step 5 aligned attached position again, then a little harder to four border. Step 2 Use cloth to clean the screen’s dust or foreign bodies. in the installation process in which bubble or lines appears on the screen ). This screen protector is Anti-scratch and Anti-shatter transparent HD, tempered glass with silicon adhesive to keep it in place. This is made of tempered glass that has 9H hardness and will keep your iphone screen safe from scratches, scuffs, marks and water. Tempered glass is much harder than PET film. High Quality Tempered Glass Film Explosion Proof Screen Protector. You'll also notice how aesthetically pleasing tempered glass is. As long as you have all dust and debris cleared from your phone before you apply one of these iPhone screen protectors, you'll hardly notice it there. Laser cut for a precision fit to protect the flat surface of the device. Just use the included accessories while following the easy 4 step instructions and you'll have your devices touch screen protected in under two minutes. Material: glass. 9H hard Imported Asahi glass with anti-explosion, anti-scratch, even though you use scissor,hamper to hit the screen, it will be ok. Oleo phobic coating will prevent fingerprints or other stains and make the film easy to clean. Tempered Glass Screen Protector for Huawei Y3. Fully transparent: very thin, chemically treated transparent tempered glass. 1 x Tempered Glass Screen Protector. Surface is anti-oil processing (Oleophobic coating), so fingerprints and oil is not easy to stay surface, easy to clean. 100% Genuine Tempered Glass. PremiumTempered Glass Screen Protector. 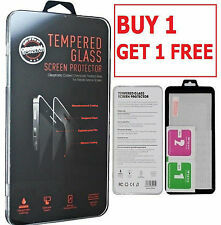 - 2 XTempered Glass Screen Protector. screen protector is adhered to phones with a silicon adhesive to keep it in place. PROMOTION : BUY 1 GET 1 FREE. Material: glass. 9H hard Imported Asa hi glass with anti-explosion, anti-scratch, even though you use scissor, hamper to hit the screen, it will be ok. You can put Your phone in any wallet or bag with key’s without worrying about scratches on screen. PREMIUM TEMPERED GLASS SCREEN PROTECTOR ULTRA CLEAR MOST DURABLE QUALITY. Made with chemically treated, transparent tempered glass with silicon adhesive to keep it in place. 1 x Tempered Glass Screen Protector. Huawei Y3 Y360. Made with chemically treated-100% crystal clear, transparent tempered glass with silicon adhesive to keep it in place. 100% Genuine 0.33MM ultra thin Tempered Glass. And kindly wait for a reply before opening any case in resolution centre. For HUAWEI P. Tempered Glass Film Screen Protector. 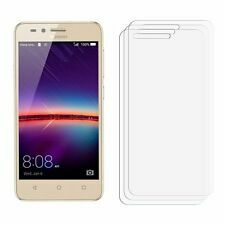 Shatterproof Tempered Glass Film Screen Guard Protector Cover. Anti shatter proof made with oleophobic coating. Sweat proof will keep your device dry while you are active. Made with chemically treated, transparent tempered glass with silicon adhesive to keep it in place. 1 x Tempered Glass Screen Protector. The screen protector has an Oleophobic coating, which prevents fingerprints and other contaminants which makes the screen protector easy to clean. Tempered glass for Huawei Y3 (2018) CAG-L23 | screen protector for Huawei Y3 (2018) CAG-L23 | lcd protector for Huawei Y3 (2018) CAG-L23 | glass for For Huawei | glass screen guard Huawei Y3 (2018) CAG-L23.